Product #1809 | SKU 380 | 0.0 (no ratings yet) Thanks for your rating! 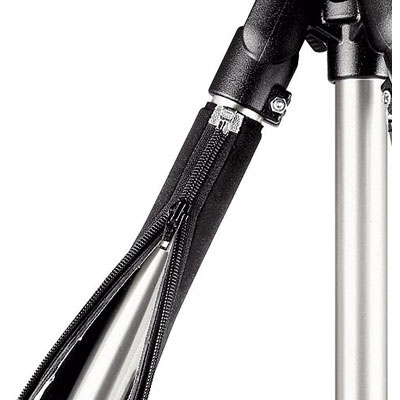 The Manfrotto 380 Tripod Leg Protectors protect the tripod from dings and scratches while simultaneously making it easier on your shoulder. They also insulate your hands when using the tripod in extreme weather conditions. The protectors fit Manfrotto 3011, 3021 and 3401 tripods, as well as 055XDB series tripods. Zipper system allows them to be fitted easily and prevent them from slipping down during use.